Close proximity to Rogers place and being from out of town with a truck the parking option was nice. Breakfast was good, but the breakfast room was insanely hot. 10 degrees too hot, not just a little bit. Location was excellent with a short walk to Rogers Place. Room was large and bed was very comfortable. 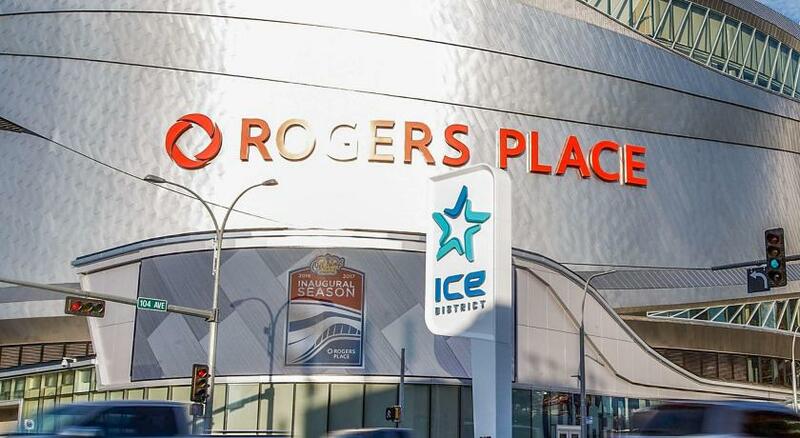 The location was perfect for anyone attending an event at Rogers Place. Very conveniently located close to Rogers Place and within walking distance to a lot of restaurants. Beds were amazingly comfortable!! 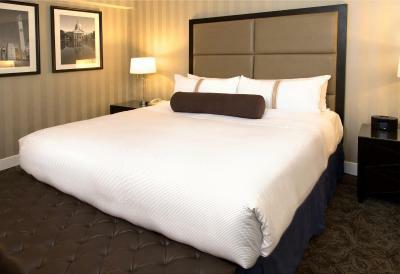 The Sutton Place Hotel Edmonton This rating is a reflection of how the property compares to the industry standard when it comes to price, facilities and services available. It's based on a self-evaluation by the property. Use this rating to help choose your stay! 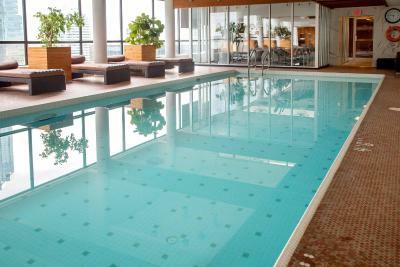 One of our top picks in Edmonton.Featuring an indoor pool, this Edmonton hotel is attached to 5 major office towers and the Edmonton City Center Mall. Rexall Place is 9 minutes' drive away. 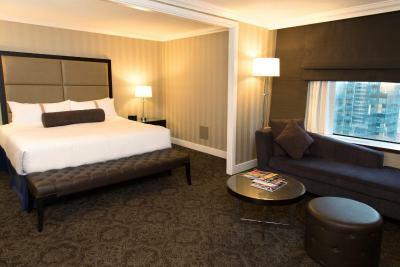 Each room at The Sutton Place Hotel Edmonton offer LCD flat-screen TVs with in-room movies. 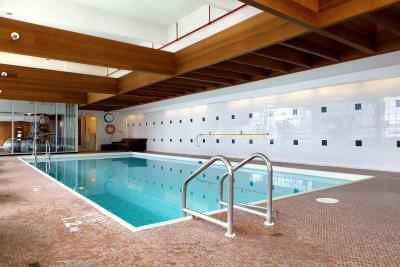 Upgraded amenities include a safety deposit box, bathrobes and slippers, and 2 free bottles of water. 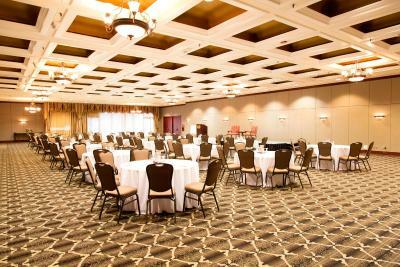 The hotel offers 9 state-of-the-art meeting rooms for a total of 16,000 square feet of flexible space. 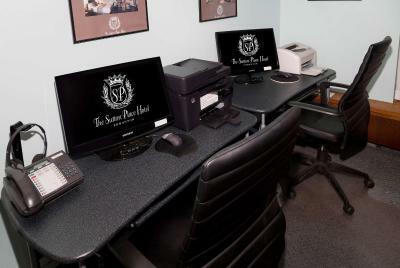 Guests can take advantage of the helpful concierge services. 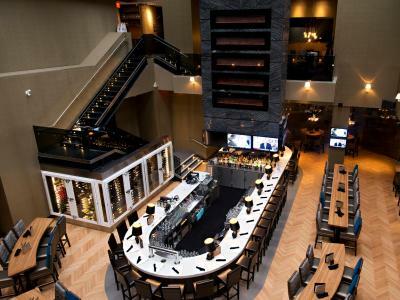 Chop Steakhouse & Bar at the Edmonton Sutton Place Hotel is open for breakfast, lunch and dinner. 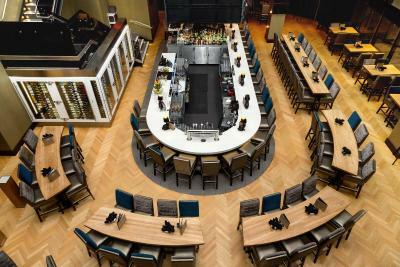 The menu features fine cuts of beef and fresh seafood. 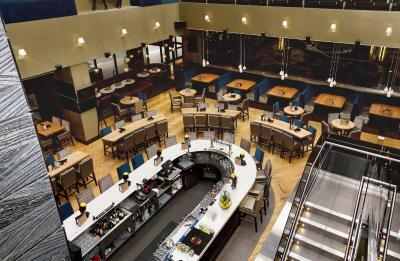 In the evening, guests can relax with a beverage or snack in the Central Park Lounge. 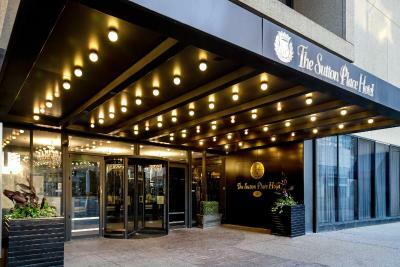 The Sutton Place Hotel Edmonton is connected by underground walkway to the Churchill LRT Station for easy travel around the city. 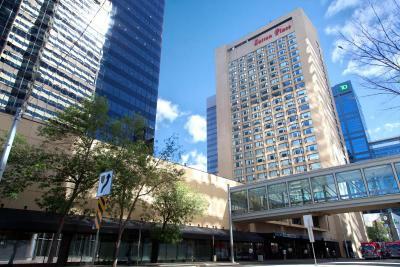 Edmonton city center is 650 feet from this hotel. Art District is 2 minutes' drive away. Parking is provided on site with surcharge. 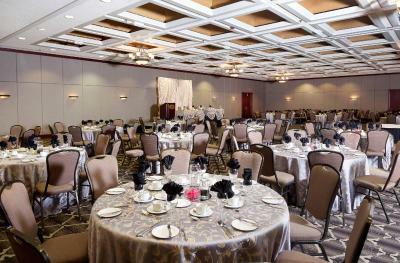 When would you like to stay at The Sutton Place Hotel Edmonton? 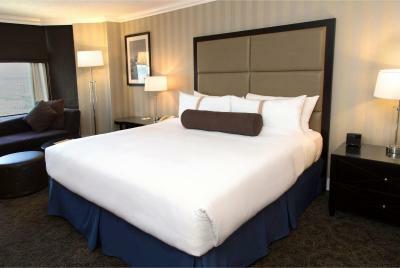 Featuring a king bed, this room has a 27” flat-screen TV with in-room movies. Public parking is available on site (reservation is needed) and costs CAD 35 per day. 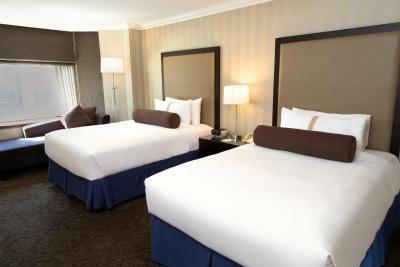 On levels 11 to 21, this room has a double bed and a 37” or 42” LCD flat-screen TV with in-room movies. 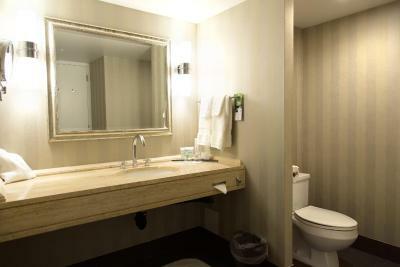 Upgraded amenities include a safe, bathrobes and slippers, and 2 free bottles of water. 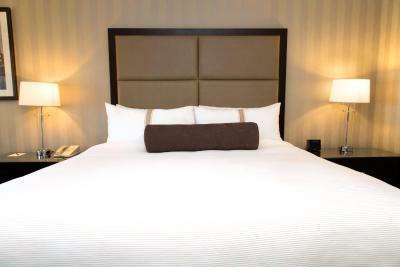 On levels 11 to 21, this room has a king bed and a 37” or 42” LCD flat-screen TV with in-room movies. 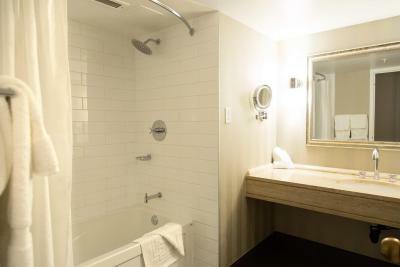 Upgraded amenities include a safe, bathrobes and slippers, and 2 free bottles of water. 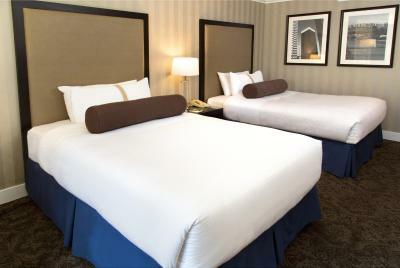 Along with a double bed, this room has a 27” flat-screen TV with in-room movies. 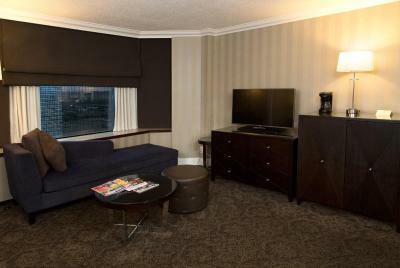 This spacious suite offers a 37” or 42” LCD flat-screen TV with in-room movies. 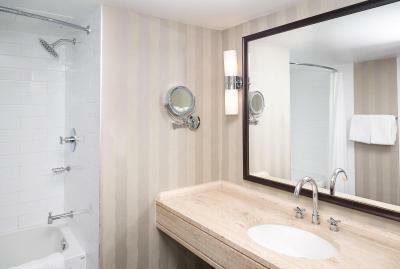 Upgraded amenities include a safety deposit box, bathrobes and slippers, and 2 free bottles of water. 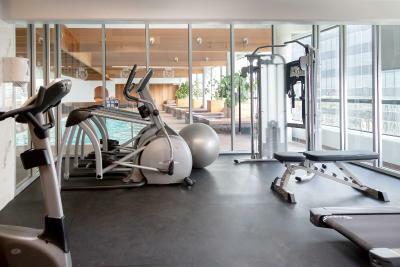 Located between floors 21 and 26, this room includes a 42" LCD flat-screen TV, in-room movies and video check-out, a mini-fridge, coffee maker, hair dryer, iron and ironing board, and complimentary newspaper upon request. 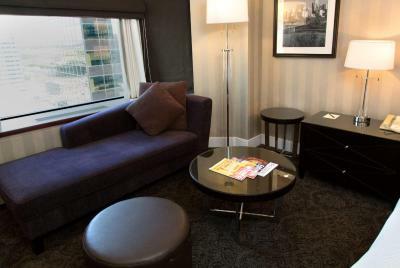 Located between floors 21 and 25, this room includes a 42" LCD flat-screen TV, in-room movies and video check-out, a mini-fridge, coffee maker, hair dryer, iron and ironing board, and complimentary newspaper upon request. 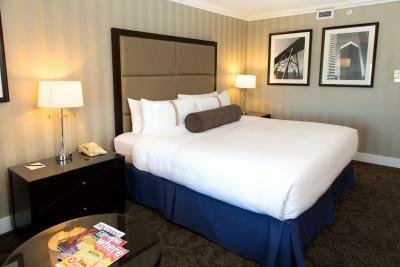 Delicate crystal chandeliers, warm colours of Italian marble and granite, soft luxurious Persian carpets, unique French Provincial styled furnishings, and specially trained service professionals all welcome you to the comfort of The Sutton Place Hotel Edmonton. Connected to five major office towers and over 400 stores, businesses, and services in Edmonton City Centre Mall, every convenience of downtown Edmonton is at your fingertips, including an indoor swimming pool, fitness centre, and Chop Steakhouse & Bar. The 313 guest rooms and suites range in size from spacious traditional accommodations to the luxurious two-storey Royal Suite. House Rules The Sutton Place Hotel Edmonton takes special requests – add in the next step! The Sutton Place Hotel Edmonton accepts these cards and reserves the right to temporarily hold an amount prior to arrival. Please note, a valid credit card is required at check-in. Cash, visa debit cards and bank issued debit cards cannot be used for incidentals. Location was excellent for access to Rogers Centre. Super comfy bed. Great room temp and super clean. Was quite shabby. Tap came off in my hand, blinds broken. Furniture very old and scuffed. Worst part was no nightstand - just two queen beds squeezed together in a room that really wasn’t big enough for them. Pool was closed for renovations. 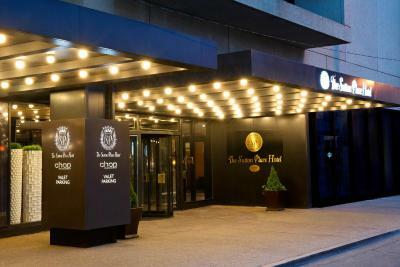 This was listed as a 5 star hotel and luxury pick - it was far from it. Location good. Bed was comfy. The pool was out of service. It was the main reason we had wanted to stay there. After parking in the under ground parking it was a bit difficult finding our way to the hotel! They need better signage as to where to go! We had a great view from our room! Our bed was super comfy! 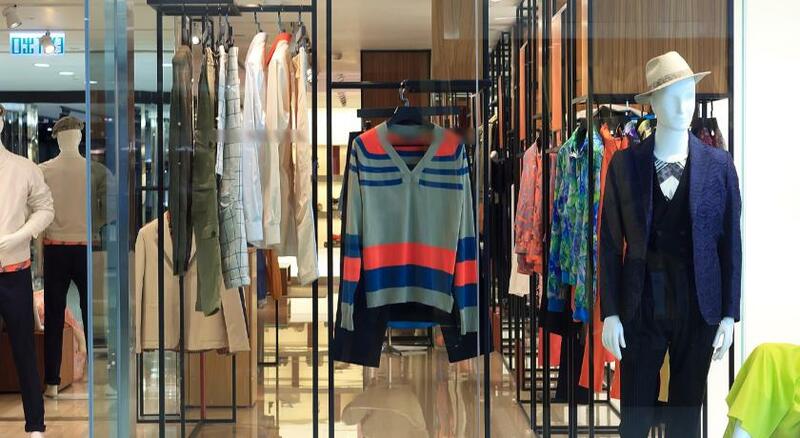 Staff was very friendly and helpful Will definitely stay there again! The only disappointment was was the restaurant. Chop steakhouse- slow service and food was mediocre at best. Security at entrance could be better. The location is perfect. Came for Hockey so nice and close to Rogers Place. Love the attached mall and restaurants and coffee shops - didn't have to wear a jacket. They had a fire in their Sauna, did not let anyone know, rooms stunk of smoke, and my room was 28 degrees and would NOT cool down no matter what we did, it was highly uncomfortable and neither of us slept well, for a $240 stay nobody was willing on property to help with any of our issues, I would probably not go back. There is a downtown element which is not particularly ideal, but security deal with those folks pretty quickly (though it does create a scene from time to time in the lobby areas. Great location. Excellent staff and rooms.